Portland Business Alliance makes proposal in response to transportation project list the City Council will consider on Nov. 14. The Portland Business Alliance has proposed eliminating all motor vehicle lanes on the Transit Mall on downtown Portland. The business organization says this would create a safe north-south route for bicyclist along 5th and 6th avenues, where they now complete for space with cars, trucks, TriMet buses and MAX trains. PBA President and CEO Andrew Hoan made the proposal in an Oct. 22 letter to Commissioner Chloe Eudaly, who is in charge of the Portland Bureau of Transportation. 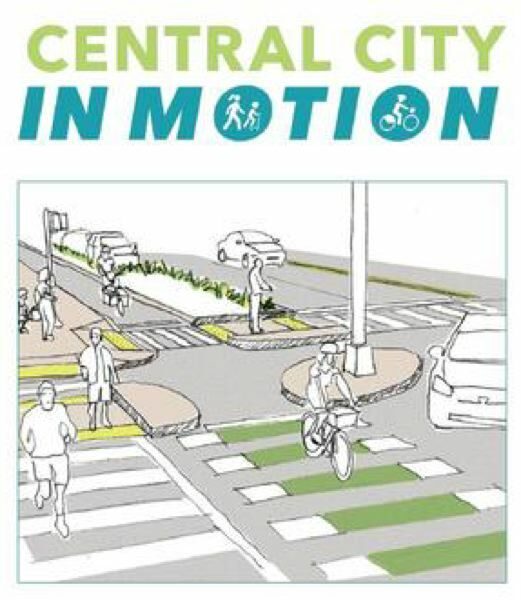 He was responding to a list of 18 projects that PBOT will present to the City Council for funding as part of its Central City in Motion project. Its goal is to increase safety for pedestrians and bicyclists downtown and in inner East Portland. Hoan presented the proposal as an alternative to a proposed project on the list that would remove motor vehicles on 4th Avenue and Broadway Boulevard to create a north-south route for bicyclists through downtown. Hoan said that could hurt businesses along those street, while many motorist already avoid driving on the Transit Mall because it can be confusing and has no on-street parking. In his letter, Hoan said, "a car-free transit mall is a plausible alternative that has the support of Portland's evolving business community." The PBA also opposed removing a northbound lane of motor vehicle traffic on Southwest Naito, as proposed by PBA to create a year-round protected bike lane past Tom McCall Waterfront Park similar to its seasonal Safer Naito. Hoan said the PBA supports a protected bike lane along Naito, however, and suggested it be constructed in the park past the trees that currently line Naito, saying it would "activate the park." A temporary protected bike lane could be created along Naito during summer events, Hoan said. The letter supported two other projects outright and two more with modifications. It did not comment on the others. "The Alliance recognizes the critical transportation needs of our region are an inherent workforce issue, and we are eager to collaborate with our members and the Portland Bureau of Transportation (PBOT) to find solutions. With a projected 41 percent increase in jobs in the Cenrtal City by 2035, investments in both traditional and alternative modes of transportation are an absolute necessity," Hoan wrote. PBOT has set aside $9 million for the projects, which is far less than they would all cost. The proposal to create a "couplet " for bikes on 4th and Broadway would cost $6.6 million alone. You can read Hoan's letter at tinyurl.com/y9dwlo2m. You can learn more about the Central City in Motion project at tinyurl.com/ycjzu723.